One of the challenges of learning to think like a plant is that not all plants think alike. 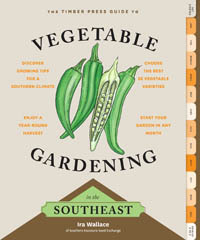 When you’re wondering how best to take care of a particular crop, the first question you’ll ask yourself might be “Where can I find good instructions?” You might, for example, start by looking at the cultural notes in our catalog, or by looking in the “Edibles A to Z” section of Ira Wallace’s book Vegetable Gardening in the Southeast, or Barbara’s Garden Primer. Another question to ask yourself is, “What do I know about the needs and habits of this plant’s relatives?” Plants tend to be similar to their relatives in terms of the conditions they need for germination or fruit set, the relationships they form with soil microbes, the strategies they use to spread their seed, and many other factors. For example, if you know that luffas are related to pumpkins and cucumbers, you can guess that growing luffas will be more similar to growing pumpkins or cucumbers than to growing tomatoes. Left to right, the progression of luffas from flower bud to mature fruit: buds, flower, baby fruit with spent petals still attached, edible young fruits, intermediate-maturity fruits, and mature fruits for retting and use as sponges. If I was sending a soil test to a lab and wanted a recommendation on whether to amend the soil before planting luffas, I’d check the box of another crop in their family (assuming luffas aren’t on the list). If I was worried that an insect might be attacking my luffa crop, I’d run through a mental list of the insects that I’ve known to attack other crops in its family. If I wanted to make a guess at which nutrients are abundant in luffas (when picked small for eating), I’d start by looking up which nutrients are abundant in other cucurbits that are also harvested before the seeds mature, like cucumbers or summer squash. 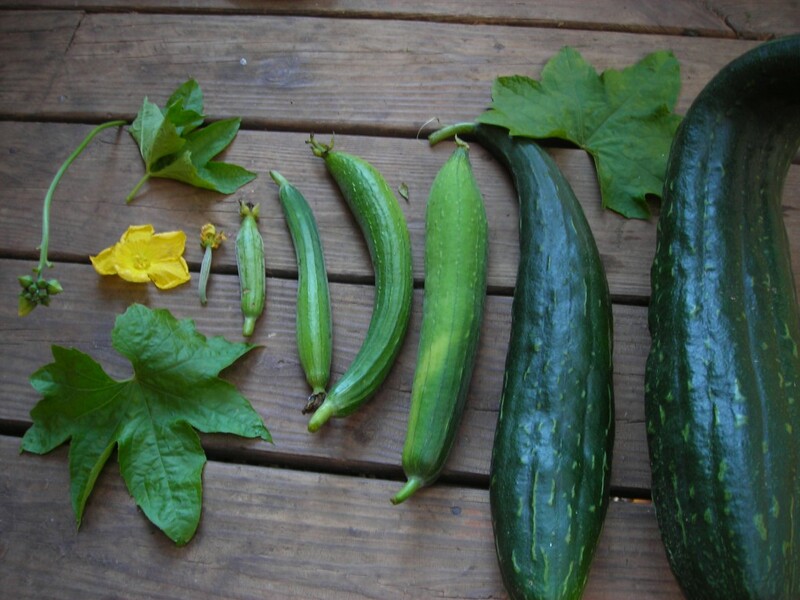 If I wanted to harvest pure, market-worthy seeds from one variety of luffa, I’d plant it at least 1/2 mile from any other varieties of the same species of luffa, based on the similar isolation distances recommended for harvesting reliably pure seeds of other cucurbits. However, any plant will have some significant differences from its relatives. For example, most cucurbits set their seeds in a wet environment, but luffas set their seed in a dry environment. Thus the techniques we use to clean luffa seeds are very different from those we use for most seeds in the cucurbit family. 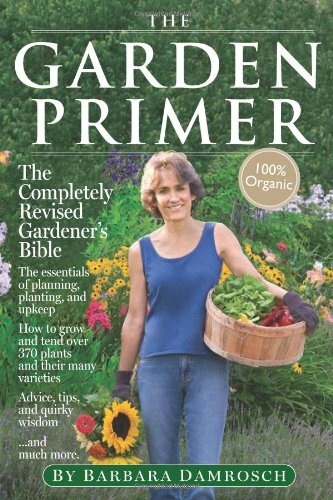 It might be tempting to focus your gardening efforts on one family, grow lots of its members, and really learn how they think. But diversity of plant families in your garden is one aspect of agrobiodiversity, and will help ensure that the bugs or diseases that like one of your crops won’t like too many of your crops. It’s also important to rotate your crops, and like many farmers and gardeners, we organize our crop rotation according to plant family. For an easy way to learn which plants are in which families, take a look at our illustrated list of the predominant plant families in American gardens.